While there is a tremendous amount of accurate information available on the internet about bed bugs, there is also almost an equal amount of bad or incorrect information. This is especially true given the rise in reported bed bug cases. Everyone is jumping on the bed bug bandwagon and trying to earn a quick buck. Here at the Bed Bug Treatment site, we want to be sure you have accurate and reliable information about bed bugs. While like many others, we enjoy making money, we will never present you with false or misleading information in order to do so! While named BED bugs, and are often found in beds, bed bugs can be found pretty much anywhere in your home. Bed bugs are commonly found in: beds, bedroom furniture, carpet, behind molding, behind pictures, in light sockets, couches, and chairs. Bed bugs also hide out in linens such as bed sheets, pillows, quilts, comforters, etc. Many people think that bed bugs only reside in dirty, unclean and unsanitary conditions. Not true at all. Bed bugs have been found in some of the swankiest hotels and homes in the world. Bed bugs do not discriminate and will reside where ever they can feed and hideout. This means that your home, other people’s homes, hotels, beds and breakfasts, apartment complexes, and condos are equal candidates for bed bugs to live and thrive. This is regardless of whether you live in low-income housing or high-income housing. Bed bugs don’t care. While certainly the ban on DDT might be part of it, the bottom line is that nobody really knows for sure why bed bugs are returning. Bed bugs were pretty much unheard of from shortly after World War II to about 10 years ago. There were reported cases, but they were rare. About 10 years ago, the number of reported cases started to grow and has grown by more than 50% each year based on data provided by professional pest care companies. There are numerous reasons why they are returning: the ban on DDT, climate change, increased travel, and possibly people not asking for help due to the negative social stigma. Nobody really knows for sure why they are back, just that they are. Well true….somewhat, but there is a great deal of misunderstanding here. Bed bugs can be killed by cold, but only when in the cold for a long time or when very quickly frozen. There seems to be a misconception that you can put a blanket or pillow infested with bed bugs in a freezer for an hour and problem solved. Not that simple. Bed bugs, when slowly cooled go into a hibernation mode and can survive for days. To kill bed bugs by freezing them, using a standard home freezer, the item infested with bed bugs would have to be left in the freezer for two weeks or more. Yep…2 weeks. Heat also kills bed bugs, and the common temperature on the internet is 115 degrees. Recent studies have shown that the real temperature is 120 or higher. Meaning, if you want to try to put your items in a black plastic bag and heat them in the sun to kill the bed bugs, you must make sure the temperature in the bag is 120 degrees or more for a minimum of one hour. I also read an article the other day where someone was advocating placing bed bug infested items in a car in the sun to kill them. If your car gets above 120 degrees (and you can confirm that) for more than an hour, great – dead bed bugs. BUT, if it doesn’t get above 120, you may just end up with a bed bug infested car that will spread your bed bugs to other places. While certainly prone to be more active from 1 am – 5 am, bed bugs are not necessarily nocturnal and will adapt to their conditions. If you sleep during the day, bed bugs will adjust their schedule to feed when you are in bed, regardless of the time. Bed bugs can be active anytime and will be active when a food source (yes that would be you) is accessible. 6 – I would know if I have bed bugs! Did you know that not all people react the same way to bed bug bites? Many people have no reaction at all. Bed bug bites also don’t hurt when they occur, so people don’t know when they are being bitten. See, the little suckers (pun intended) have a numbing agent in their saliva! Some bed bug infestations leave traces, others do not. Detecting bed bugs can be really difficult sometimes. Unfortunately knowing whether or not you have bed bugs can be very tricky. Bed bugs are really good at hiding and the only way to be sure is to conduct a very thorough bed bug inspection. While bed bug mattress covers and bed bug box spring covers will certainly reduce your risk, and make seeing the bugs easier, they will not prevent an infestation alone. Bed bugs can hide in other locations outside of your mattress and box springs. These covers, due to their white color and ability to block bed bugs from hiding in small crevices and folds, will make bed bugs easier to see. The other mistake commonly made is people use allergy or standard covers, and not bed bug covers. 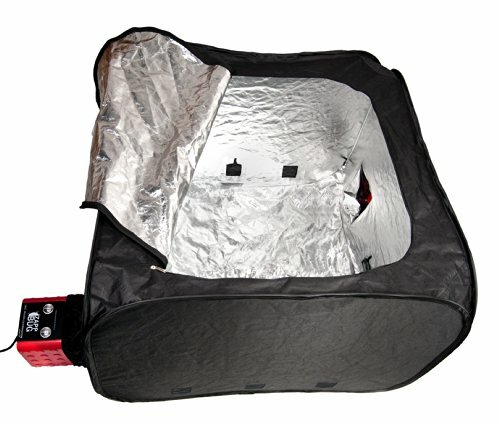 Bed bug covers have a specially designed zipper and zipper cover that keep bed bugs from getting through the zipper as they would in a standard cover. You can read more about prevention strategies on our bed bug prevention page. Simply not true. First off, the chemicals used in foggers are not proven to be effective against bed bugs at all. Second, due to the way foggers work, they will often not kill bed bugs, but instead drive them further into hiding or into other areas of your home. Using foggers, whether they claim to kill bed bugs or not, can result in spreading bed bugs further into your home. We do not recommend the use of Foggers. Sprays are far more effective. We’ll just move out and starve the little <insert your expletive of choice>! Bed bugs can go for up to 70 days without feeding on blood and using this strategy you would have to be out of your home for more than 70 days. When uninhabited by humans, other residents like mice, rats, squirrels, birds and other “critters” will often move into your home. To bed bugs, these food sources are just as good. There is simply no way to know if the bedbugs are starving or not, and thus this strategy is not effective and just results in you being inconvenienced for a long time and still come home to bed bugs. Adult Bed bugs are actually 4-5mm long (about the size of an apple seed). From egg to the adult stage, they are fully visible to the naked eye. They are brown to reddish in color. Here’s a picture of one (you see more in our photo gallery) – Ugly looking buggers huh?